​Radiography can be used to evaluate almost any organ in the body, including the heart, lungs, and abdominal organs, as well as the bones. Radiography is painless, safe, and completely non-invasive, and it uses only very low doses of radiation. Because the level of radiation exposure needed to perform radiography is very low, even pregnant females and very young pets can undergo radiography. Radiographs can be used to evaluate bones as well as the size, shape, and position of many of the body's organs. The size of organs is important because some medical condition such as kidney, heart, or liver disease can alter the size of these organs. The shape and position of organs can be altered or distorted by certain medical conditions, including intestinal blockage or cancer. ​Tumors, depending on their size and location, can also sometimes be detected using radiography. Radiography can also be used on diagnose bladder stones, broken bones, chronic arthritis, certain spinal cord diseases, and a variety of other conditions. 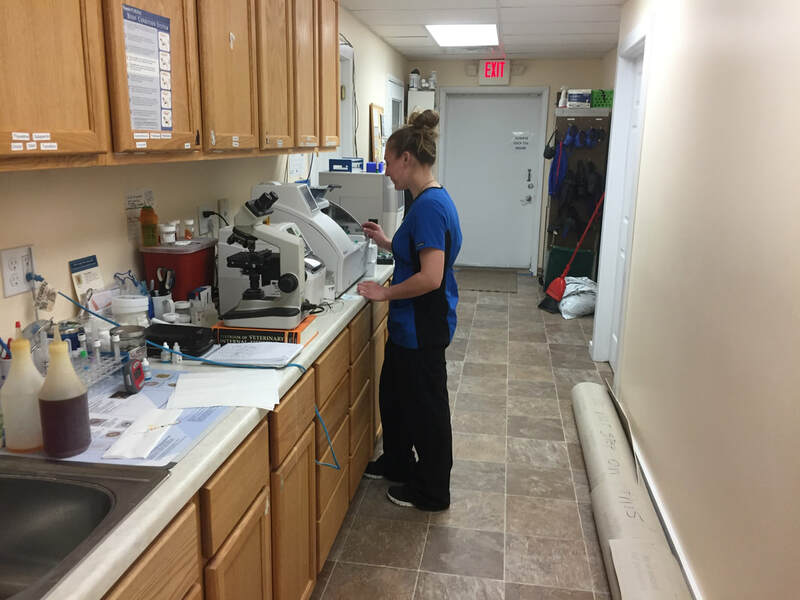 Radiographs are an important tool that can help us make a correct diagnosis for your pet. Our radiology service is staffed by caring, skilled professionals who will provide state of the art care with compassion and expertise.